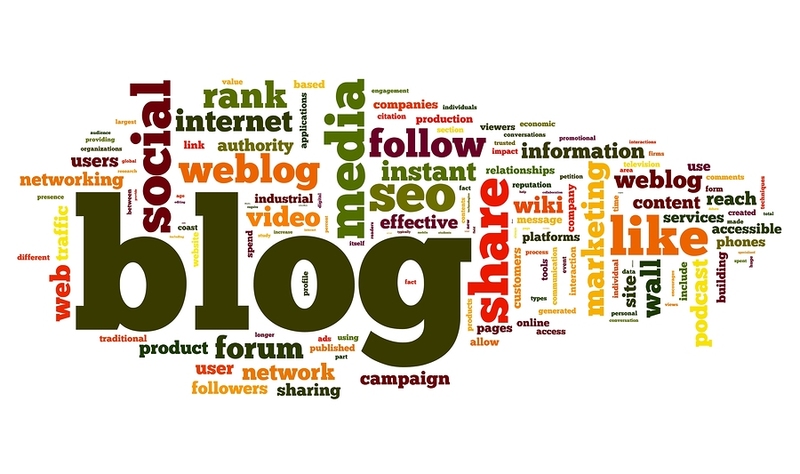 A while back, we offered up 4 Reasons Why You Should Be Blogging. We suggested that a blog can help promote engagement with existing members, volunteers and prospects. It offers a great communications channel that keeps members coming back. In addition, a blog can put a human face on your organization, building trust and enabling two-way communications. And it can also improve your website’s search engine optimization or SEO. In fact, there is apparently data to indicate that reading blogs impacts a consumer’s purchasing decisions. So it’s not a stretch to suggest that an effective blog can help grow your membership and influence your existing members’ or supporters’ behavior too (e.g., increasing participation, renewal, additional donations). We can’t touch on all of these important points in one blog post, but here is a collection of information, tips and advice to help get your membership blog off to a great start this fall. Who’s writing blog posts and when? Before you get excited and start drafting your first blog post, you need to understand that a membership blog (unlike a personal blog) takes commitment and planning. You need to commit to a schedule; figure out who will write the blog posts and who will manage the process. Alternately, you might want to simply use these folks as your editorial board to offer up ideas for blog posts, outlines or drafts that your key blog writer can fine-tune. Google calendar: In a post a few months back, on the Content Equals Money blog – Why You Need an Editorial Calendar (and How To Build One in No Time). – Ben Richardson offered step-by-step instructions on how to create a “Basic Editorial Calendar With Google Calendar." In her post – [How to] Build a Successful Editorial Calendar for Your Blog, Angela Stringfellow outlines a number of tools and offers examples of editorial calendars. In his post, 5 Systems for Creating An Editorial Calendar, Ben Richardson outlines five “paid (and/or more advanced) editorial calendar platform". What phone call did you get today that you should share with your audience? What was the last event you had? What was discussed there that should be shared? What’s the biggest misconception about your association? What members have you helped to grow their business? How many jobs were created? What members recently made the news that you can share? In a post a few years back, Rebecca Leaman offered up A Year’s Worth of Blog Topic Ideas. In your newsletters – include the “top posts” in your monthly newsletter and be sure to link to pertinent posts within newsletter articles as well. In your email signature – add the link to your blog post on the email signatures of staff, board and other key volunteers. Through social media – be sure to include social sharing buttons (e.g., Facebook, Twitter, LinkedIn, Google+) or widgets on your blog - like these (on our blog). An RSS feed offers a summarized text and metadata such as publishing dates, authorship and a link to that blog post. Through an RSS feed your readers can subscribe to regular updates, delivered automatically via a web portal, news reader, or email. This means your readers are alerted when new posts are published on your blog – building a healthy subscriber base. If you are a Wild Apricot client using the auto blog feature, you can activate the RSS feed so that your subscribers receive email notification of each post as it is published in your blog. Blogging isn’t just a means of sharing information, you also want to enable two-way communications as well. This means you need to offer an opportunity for your readers to comment on a post. It also involves the blog writer or administrator responding to those comments. Many blog platforms (including Wild Apricot’s) enable you to turn on comments and also to enable anti-spam settings (such as Captcha) that prevent automated software (spambots) from bombarding your blog with spam comments. These are just a few ideas to get you started with your membership blog. You can also check out our “How to Create a Blog” guide in our Membership Knowledge Hub. If you are new to membership blogging - tell us your biggest challenge in the comments below.